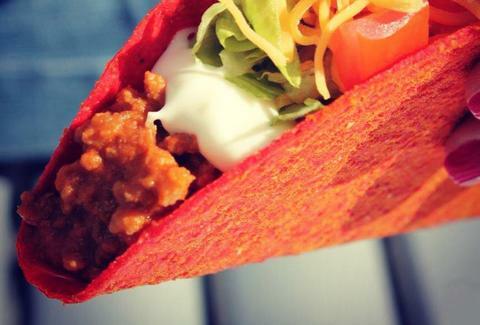 The Fiery DLT will be the spiciest joint Doritos-Taco Bell venture yet, combining the flavors of chili and lime in a taco shell as red as Julius Caesar (too soon? ), and'll be available in regular and supreme sizes. The official Fiery launch is on August 22nd, but if you keep your eyes on T-Bell's many social media channels (Facebook, Twitter, Vine, Xanga, LiveJournal, Friendster), you may have a chance to try it earlier than anyone else -- so "live más" and never leave your computer.